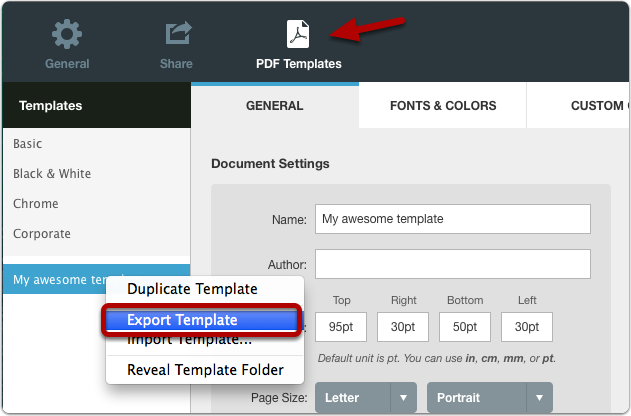 You can share custom PDF templates that you create by exporting and importing PDF template files. To export a PDF template, right-click on it and select Export Template from the contextual menu. You will be prompted to save the template to a file of your choosing. The resulting file will include the entire template in a single file. To import a template just right-click anywhere in the list of PDF Templates and select Import Template... from the contextual menu. After selecting a PDF template file it will appear in your list of templates. Prev: How does Clarify size images in PDF output? is it possible to export in word using Clarify 1? @Chiara - no it is not. Word export was added in Clarify 2. 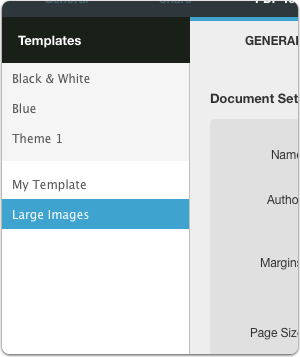 I have created a PDF template in Acrobat DC. Saved it in every possible format that I can think of and I cannot see the file to import it. How can I import a PDF template that I've created in Acrobat DC? @Nathan - You can't. 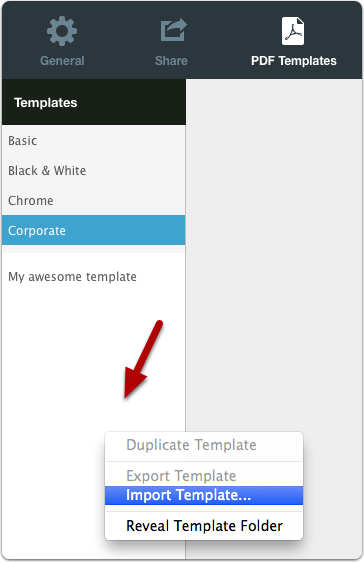 Clarify doesn't support templates made in Acrobat DC.